Located NORTH of Wilshire, this top floor 1bedroom, 1bathroom condo is a rare offering and a Santa Monica BEST BUY! The southern facing living room has ample natural light through the front facing, large picture window. 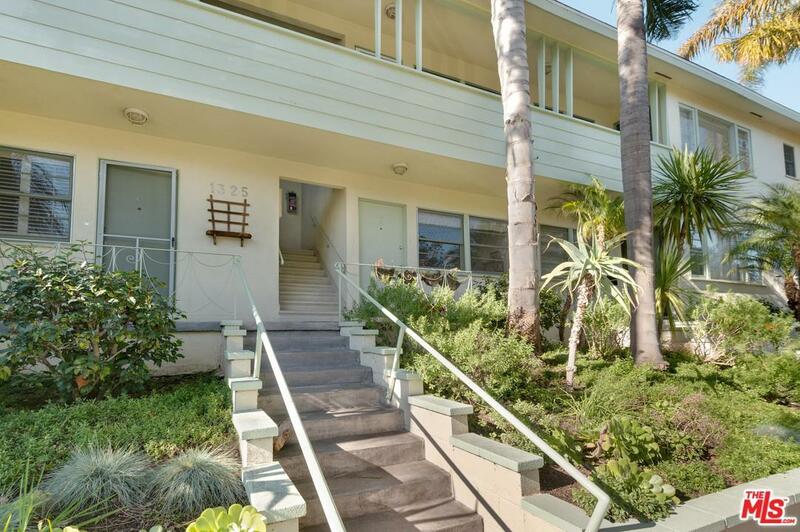 Charming features include the original oak wood floors throughout, smooth ceilings, ample closet space and more. Move in and enjoy, or remodel to suit. Within close proximity to the best of Santa Monica including Montana Ave shops & restaurants, 3rd St Promenade, the beach, train & freeway access. Street parking. EQ insurance included in HOA dues.